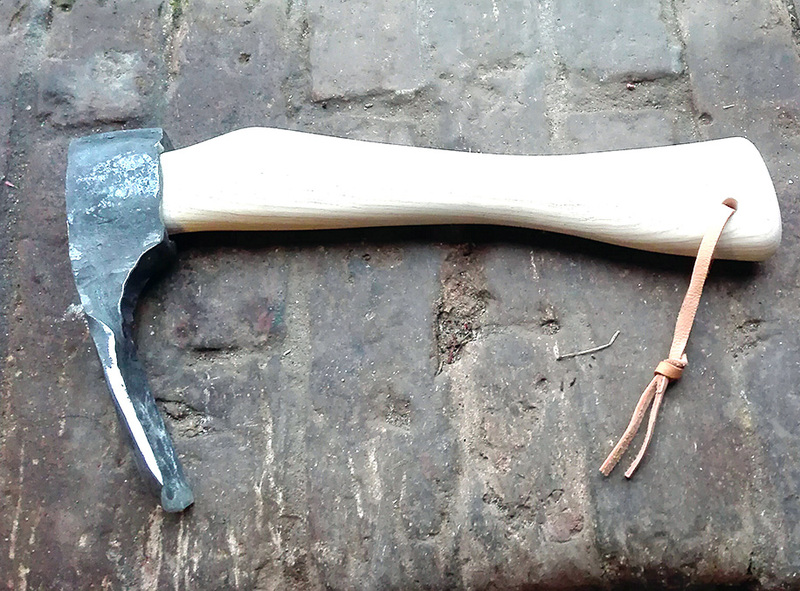 Small axe can be used to make a hollow shape in a pice of wood. You can use it to make woden cup or dish. 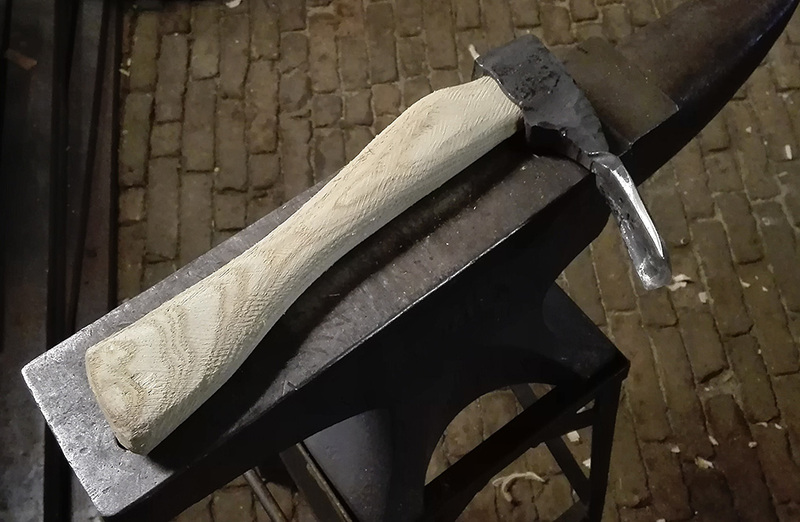 The cutting edge of this axe has been hardened. It is 3,5 cm wide and 1cm hollow. 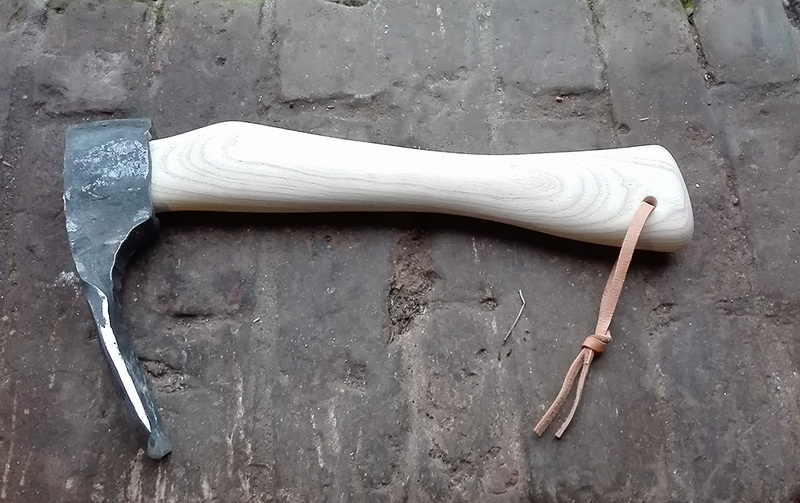 It is handfoged and the handle is out of ashwood also handmade.